Kids are always hitting and cutting themselves so why not help the pain with TruKids Hero Stick. 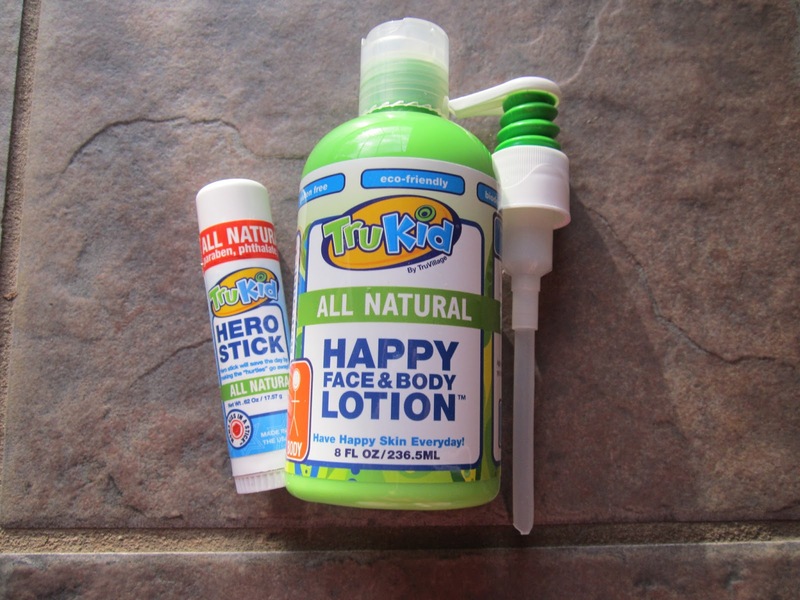 It works like lip balm you just simply take the Hero Stick and rub it on your child's boo-boo which helps relieve the pain. I love how fast it works, and it smells like a green tea which is also a plus. The Hero Stick is so small like a lipstick making it easy to carry in any purse, bag or pocket. I have sent it with Brian to school because he complains often of getting hurt so he likes having the Hero Stick because he can fix his own cuts now. You can never have to many lotions especially ones that heal and smell great like the TruKids Happy Face and Body Lotion. Happy Face and Body Lotion is all natural, eco friendly, gluten free and of course biodegradable. 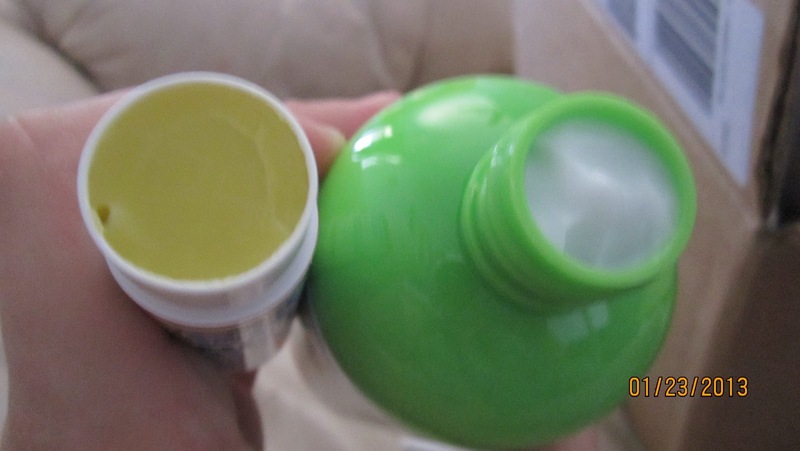 I used on myself and Elizabeth we both loved it, I loved it for the scent it has a lime scent to it. Elizabeth went around saying how soft she felt which is did feel great no slime film afterwards like other lotions like to leave behind. TruKids also has a bunch of other products to choose from like hair care which I would have love to try because of having girls with curly hair, skin care from the sun, and bath care. All products you use everyday when you have children so why not try something new and Tru. You can see and purchase all of TruKids products here. Enter to win your own set of Happy Face and Body Lotion and Hero Stick, contest open to U.S. residents only. Ends 1/28/13. The Dancing Hair Detangler. Really need this! out to seiu inside pages in the times. york fed also points out that 5.